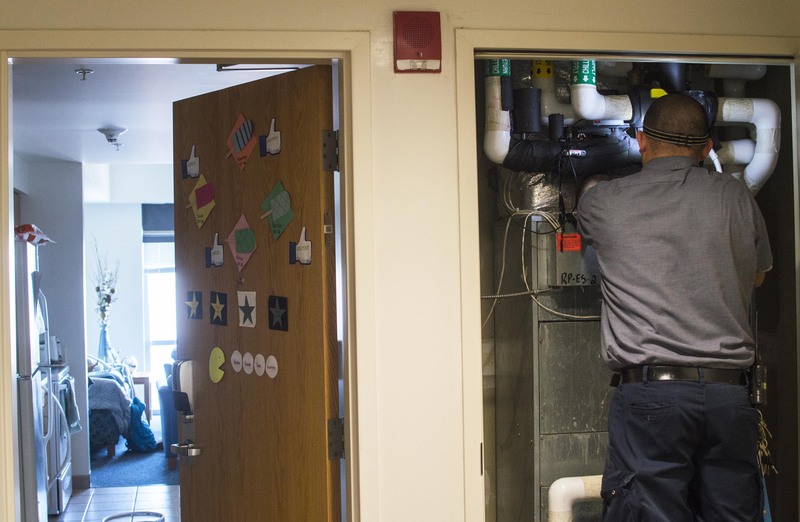 On the night of March 18, water flooded Northern Neck residence hall. Zachary Pope, director of University Life Safety and Emergency Management, said via email this was due to “a coupling failure on a chilled water line on the fifth floor.” Housing and Residence Life are currently working to repair the damages and have moved some Northern Neck residents to unoccupied dorms in other residence halls until their dorms are fully repaired. The flooding, which started on the fifth floor, became less severe as it descended to each subsequent floor. However, each floor was at least partially covered in standing water. By 8:30 p.m., most residents had exited the building, with only resident advisors left to patrol the halls and write reports of damages and flooding. Julia Moskel, a junior who lives on the third floor of Northern Neck, was not evacuated from her dorm, but she said all of her friends who had been evacuated were staying with friends in other buildings. Currently, Fourth Estate cannot confirm whether or not the university will compensate students for damaged property. 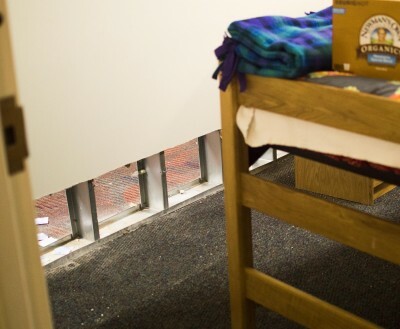 A view from inside a third-floor Northern Neck dorm on Tuesday. “This situation serves as a good reminder for residents to have renter’s insurance to cover their personal belongings in these types of situations,” Pope said. Sophomore Dane Anderson, who lives on the first floor, also stayed in his dorm Friday night, but was unhappy with the way the school handled the situation. Resident advisors on the scene Friday night declined to comment on the situation. Stay tuned for continued Fourth Estate coverage of this story.